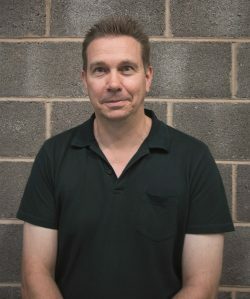 Installation experience: A self-employed plumber for the past 17 years, Richard is the go-to-man in his village for heating system maintenance and upgrades. 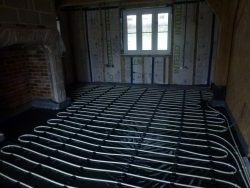 He recently completed his first underfloor heating (UFH) install as part of his parents-in-laws’ self-build project. 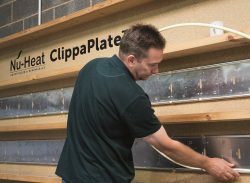 “My Mother and Father-in-law liked the sound of UFH and were keen to have it in their new home. They asked me if I could install it. It sounded simple enough but because I’d not worked with UFH before, I decided to do a bit of prep beforehand. I spent a day on-site with one of my friends, also a plumber, giving him a hand to fit an underfloor system. Helping him out gave me some hands-on experience and an idea of what to expect.